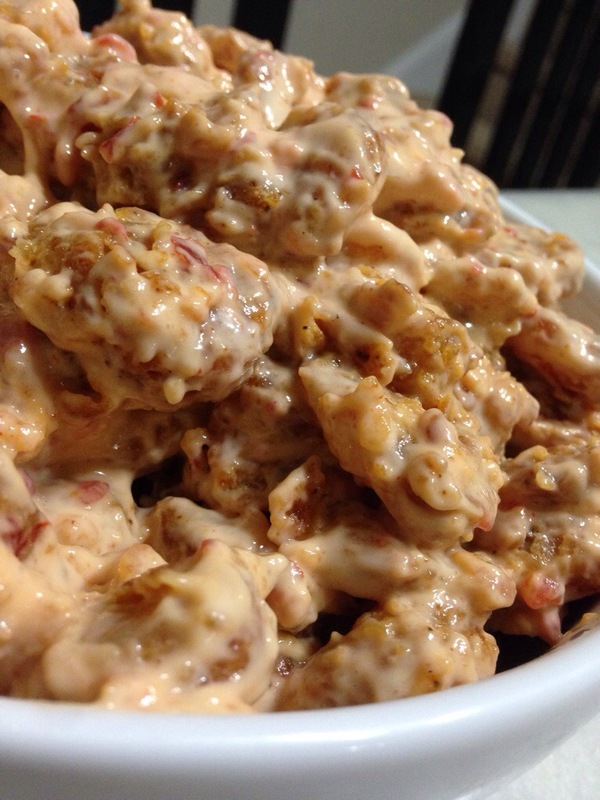 This past Tuesday, I did a baked version of my Bang Bang Shrimp. 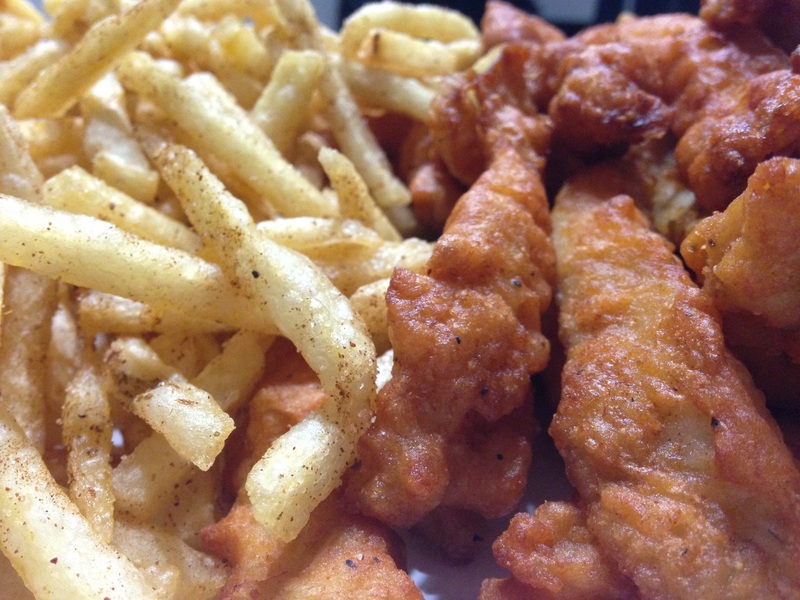 It was just as delicious, and I loved that it wasn’t fried! Make your sauce: combine the 1/2 cup of [low-fat] mayonnaise, 4 teaspoons of chili garlic sauce, 1/2 teaspoon of sugar, and 1 teaspoon of rice vinegar in a small bowl. I let mine chill in the fridge in the meantime. This helps the sauce stick to the shrimp. Preheat your oven to 350 degrees. Line your baking sheet with foil for easy cleanup. Spray non-stick cooking spray on top of the foil. I seasoned shrimp with: black pepper, garlic powder, paprika, chili powder, and cayenne powder. Next, I added in a [beated] egg to the marinated shrimp. Separately, in a ziploc bag [for easy cleanup], I add in flour and season it with black pepper, garlic powder, paprika, chili powder, and cayenne powder. Next, add in the shrimp to the ziploc bag, seal… and shake to coat all of the shrimp. Transfer your coated shrimp on to the lined baking sheet. When all are transferred, spray another layer of non-stick cooking spray on top of all the shrimp. Bake the shrimp in your preheated oven for about 15 minutes. After a few minutes of letting the shrimp cool, transfer to a dish where you fold in the sauce with the shrimp before serving. This one is pretty self explanatory [just by it’s name]! 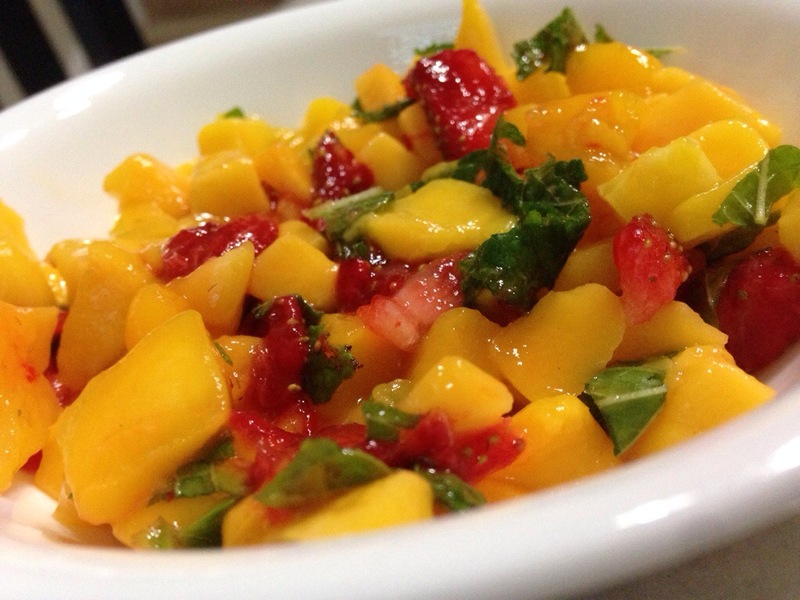 I diced up mangoes. Same with strawberries [fresh from our backyard]! Added in some chopped mint [also from the backyard! ]… and mixed everything together. I seasoned the tilapia with black pepper, paprika, garlic, chili powder, cayenne pepper, and lemon juice. I baked it for about 25 minutes in a preheated 350 degree oven. Today, I made a baked version of Sweet Chili Shrimp. I’ve made a fried version of this before [you can see that by clicking here], but today I decided to go the healthier route and bake the shrimp instead. Preheat your oven to 350 degrees. Line your baking sheet with foil [for easy cleanup] and spray with non-stick cooking spray. I seasoned the shrimp with the usual: black pepper, paprika, cayenne pepper, chili powder, and garlic powder. I seasoned flour with the same seasonings and coated all of the shrimp. Lay them on the lined baking sheet. Spray the top with non-stick cooking spray as well. In your preheated oven, baked the shrimp for about 10 minutes. Half way in the baking time, I flipped the shrimp over. Once it’s out of the oven, let it cool a bit. 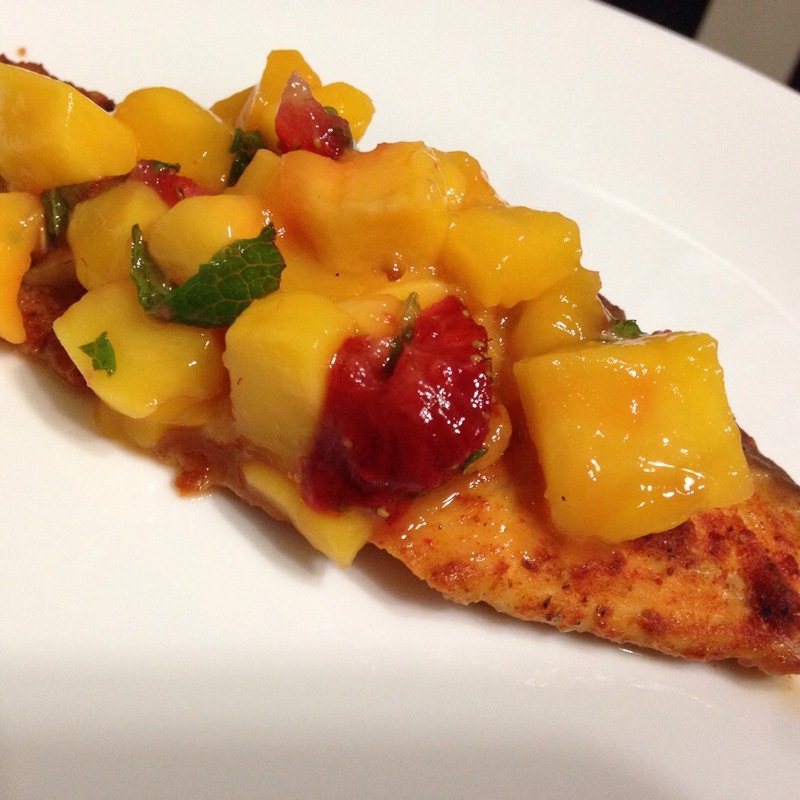 After it has slightly cooled, fold in sweet chili sauce and serve! For dinner tonight, I put together a creamy white sauce shrimp linguine. Boil your pasta as directed on the box. Season your shrimp with salt, black pepper, paprika, cayenne pepper, chili powder, garlic powder, onion powder, dried oregano and dried thyme. I have better luck cooking shrimp in the oven than on the stove since it cooks so fast, so I prefer that method. What i did was: bake the shrimp in a 400 degree preheated oven for about 10 minutes. Meanwhile to start the sauce: over low to medium heat, add in the butter. Once it’s melted, add in the flour and mix it well. Next, add the heavy cream to the pan. Season the heavy cream with the same things you seasoned the shrimp with [in step one]. On medium to high heat, let the heavy cream reduce a little bit. Add in about a cup of the shredded pepperjack cheese and 1/4 cup of the parmesan [it doesn’t have to be precise, I just eyeballed it]. Add the shrimp back in with the heavy cream sauce. Add in the cooked pasta. Mix well before removing from the heat. Mix in the remainder parmesan cheese along with the pepper jack cheese. Add in some basil and parsley. Toss well. Serve immediately! I garnished mine with a little more parsley. One of the only things I don’t like about these white sauce pastas are that they tend to dry up fast and it’s only for the most part if you are serving them fresh. Tip: Leftovers aren’t usually that great unless you take the time again to make more sauce to make it creamier again. For dinner tonight, I recreated the Sweet Chili Shrimp appetizer from Red Lobster. I made a homemade version of Sweet Chili Shrimp [and served it over a bed of lettuce]… and it tasted spot on. By the way, click here for my version of their Cheddar Bay Biscuits which would be great to serve alongside this shrimp! What I did was basically make my popcorn shrimp recipe to start off. Minus the salt, since I was adding sauce. And I added chili powder and onion powder to the shrimp. So: I took [small] shrimp [peeled and deveined] and seasoned it with black pepper, garlic powder, paprika, cayenne pepper, onion powder and chili powder. Next, add in an egg [amount depending on how much shrimp you are working with… just enough to “wet” the shrimp so the breading sticks]. 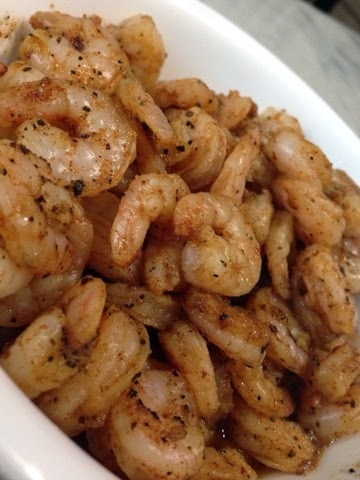 When you are ready to fry the shrimp: in a ziploc bag [for convenience and easy cleanup], add in flour [amount depending on how much shrimp you are working with] and season the flour with black pepper, garlic powder, paprika, cayenne pepper and chili powder. Shake well to make sure the flour is thoroughly seasoned. Finally, fry the shrimp until they are golden brown! Meanwhile, for the Sweet Chili sauce, I just used a store-bought sauce today. I wanted to make sure the taste would be accurate, and it was, so next time I’ll experiment with making the sauce completely homemade too. 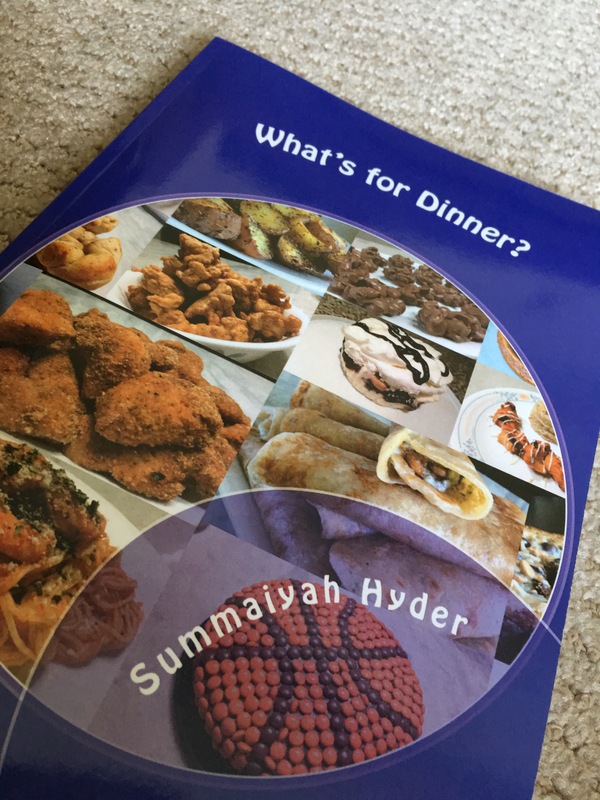 That’s not to say, the store-bought wasn’t a great help/alternative: I’m all about semi-homemade/getting some help from the store when I can, but I do like controlling the quantity/quality of ingredients in my food which is why I prefer homemade when I can. Today, I used the Sweet Chili sauce from the brand “Frank’s Red Hot”. After allowing the fried shrimp to cool somewhat for a few minutes, toss the shrimp with the sauce. Coat all the shrimp with the sauce. 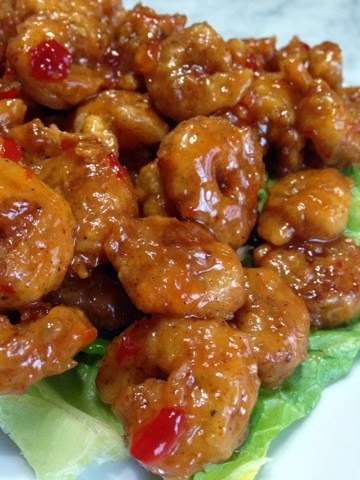 Once your shrimp is coated, transfer it on top of the [chopped] bed of lettuce. Optional: for presentation purposes, adding a sprinkle of chopped scallions on top would be a great touch. Update: you can see my slightly healthier version of this by clicking here… and seeing the baked shrimp version that is equally delicious! 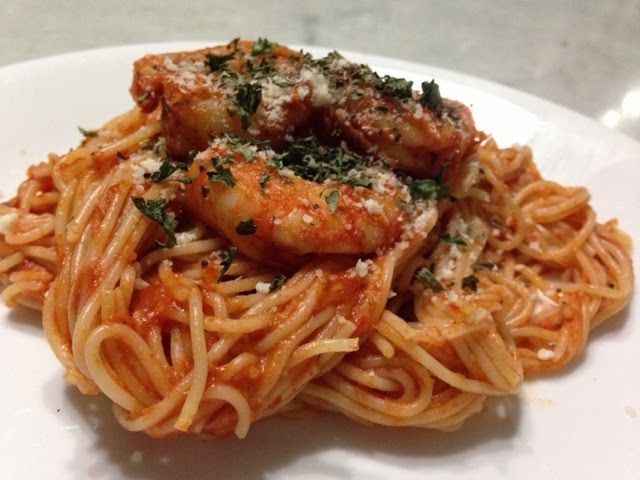 For dinner today, I made shrimp with pasta [in a marinara sauce]. Alongside, I made my cheddar bay biscuits. I seasoned my shrimp with cayenne pepper, paprika, garlic powder, chili powder, basil, parsley, and lemon juice. I prefer making my shrimp in the oven, so I baked mine in the oven for about 10 minutes at 400 degrees. Cook your pasta [as the box says]. I used capellini today because that’s what I had at home. When the pasta is cooked, add in the marinara sauce and mix. It’ll warm up from the heat of the pasta. Mix in some Parmesan cheese. Lastly, toss in the shrimp. When serving, sprinkle some parmesan cheese, basil, and parsley on top… and dinner’s ready!